Backcountry – Ride with the locals! 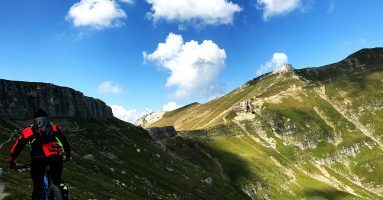 Come to our most spectacular panoramas tour for epic views of Postăvaru, Piatra Craiului, Baiului, Piatra Mare and Bucegi Mountains. 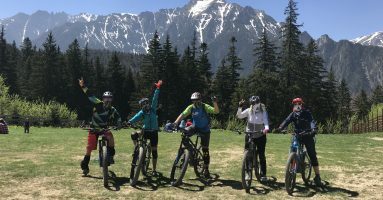 One of the friendliest and most accessible mountain paths – rivers, canyons, rustic mountain cabins and the occasional wild life encounter (deers, squirrels, goats, nothing you’d need to wrestle). 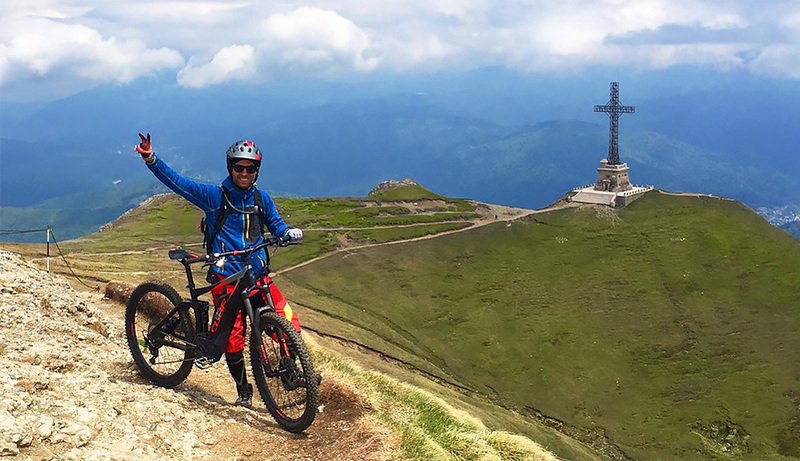 Ride thought the Bucegi National Park and pedal all the way up to Omu Peak at 2.505 meters. 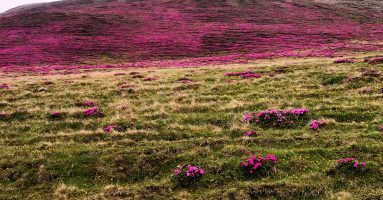 Every June the mountain puts its pink coat on and we go see the show. An incredible phenomena that only lasts a couple of days each year. Private tours for groups of 4 and more! Every day you’re on an eBike is a day you achieve the impossible. No climb to steep, no trail too long, no descent too rocky. 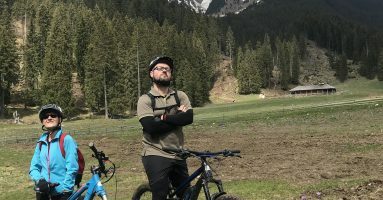 Pedal up Romania’s highest mountains or take the uphill tour of beautiful Brasov – we have experiences ranging from 100% urban to 100% wilderness. Ride though the largest virgin woods still left in Europe. Taste the food, experience the traditions, drink the moonshine, breathe it all in! We’ve prepared the perfect mix of city & mountain that will satisfy both the tourist and the rider in you. From 1 day trips to epic 7 day adventures, pick and choose what suits you best! We are a group of professional guides living in the heart of Transylvania. 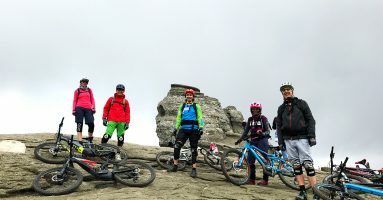 We try to spend each day up on the mountain – hiking or riding, uphill or downhill, singles trails or bike parks, we’re always out having fun or just discovering new trails. It’s out pleasure to share our beautiful country and mountains with you and we strongly believe riding is the best way to do that. Give us a call and let’s start planning your ride! Give us a call and start planning your ride!